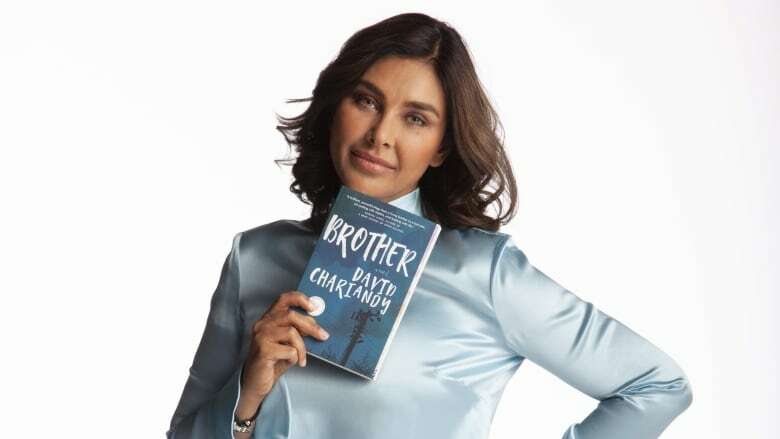 The actor and model is defending David Chariandy's novel Brother during Canada Reads 2019. Toronto-born actor, model and TV host and philanthropist Lisa Ray loves literature and getting lost in good prose. It's the reason why she's defending Brother by David Chariandy on Canada Reads 2019. Brother is the story of two brothers growing up in a troubled housing complex in the Toronto suburb of Scarborough. Ray spoke with CBC Books about how books inform her life and work. Do you remember the books you loved as a child? "Growing up, I read a lot of Roald Dahl books. He's just so damn cheeky. Of course Charlie and the Chocolate Factory was huge for me and I loved The Twits. He also wrote adult books that were borderline not material for children, but I couldn't help reading those at the time as well. My parents emigrated from the U.K. and my dad's from India and my mother is Polish. They brought along a slightly English sensibility to Canada. Dahl was influential for me as a child. I'm very attracted to lyrical writing... it's not always necessarily just the story itself, it's how you tell the story that's deeply important to me. "I was recently going through my storage facility in Toronto and I found this dog-eared copy of Pippi Longstocking which is really weird for a beige girl like me to identify with, but it happens! "My father was a strong influence for me in terms of reading and being a reader. He passed along his deep love of literature to me. I was a precocious reader and I liked very deep reading. I recall hankering after things like Albert Camus and Dostoevsky. My father had brought from England his prized stack of paper books and they were kind of exotic because they had come from London. I was naturally attracted to these books and I didn't understand the context at times, but I loved words. I started developing my passion for words because I would look up words I didn't understand. I was starting to build my vocabulary." What books left a lasting impact on you as a reader? "Jhumpa Lahiri's books have been very seminal in my life. We share a common ancestry — she writes and speaks to the first generation of Indian immigrants or the kids of those immigrants. Her writing is so exquisite and elegant but very relatable. Her book Interpreter of Maladies is about the Indian American experience and I loved The Namesake. "I love Margaret Atwood, of course, and grew up reading her. Surfacing is one of her books that people don't talk about a lot because these days it's all about The Handmaid's Tale and her apocalyptic storytelling. But Surfacing was such a devastatingly intimate and beautiful book. Literature and great storytelling is the best way to deep dive into another person's life. "Arundhati Roy is also devastatingly good. I'm attracted to lyrical writing, if you can notice a theme. It's not always necessarily the story itself, it's how you tell the story that's deeply important to me. "I do love Suketu Mehta's Maximum City: Bombay Lost and Found. It's not fiction but narrative nonfiction, which I generally am not attracted to, but it is such a great deep dive into the life of a city that is close to me." "A lot of my life is so nomadic! But when I'm home, I love reading in bed. That's a luxury for me. I'll make a corner where ever I go and curl up like a cat with a good book. I think it's the book that sets the tone. Whether it's a plane, a lounge or when I have downtime on a film set, give me a good book, and reading socks, and I'm good to go! "For me, books, literature and great storytelling is the best way to deep dive into another person's life. How would you connect with another person? Rather than stand on a soapbox and preach, if you want to move someone, learn to walk in their shoes. It's that empathy bridge that you build. If I'm preparing for a role and I have to inhabit a different world or environment, I first get my research and reading and books." Why did you decide to be a Canada Reads panelist? "Because it's so exciting! When you're a reader, you're so excited by the very notion of having permission to sit and discuss books. It's a great platform for great books." Lisa Ray's comments have been edited for length and clarity.